TMZ spotted Reggie Bush leaving a gym in West Hollywood and getting into his black Lamborghini Aventador. Reggie’s lineup also includes everything from this Rolls Royce Ghost and his classic Plymouth Barracuda. Shout out to Alexander for the tip! 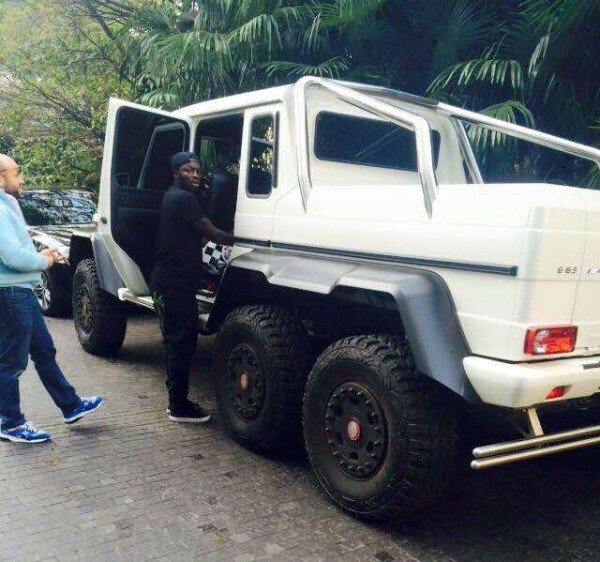 Sulley Muntari, who currently plays as a central midfielder for Milan was spotted driving around in a new Mercedes-Benz Brabus G63 AMG 6×6 recently. The G-Wagon is one of the most popular SUV’s among celebrities but when it comes to the 6×6, Dan Bilzerian is the only other celeb we know that owns one of these beasts. Judging by the hefty price tag (close to $1 million), and the size of this thing, we’re guessing we won’t be seeing a bunch of them around Hollywood anytime soon. Shout out to Matthew for the tip! 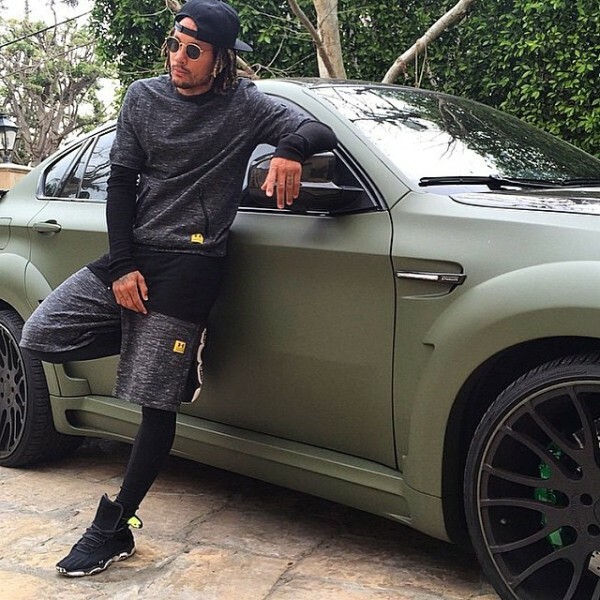 Soccer midfielder, Jermaine Jones poses with his BMW X6M built by the guys at Platinum Motorsport with a matte army green exterior on black wheels and a Hamann package. This isn’t the only ride in Jones’ collection though — you can also spot Jones and his wife and their five kids running around in their matte black Cadillac Escalade. 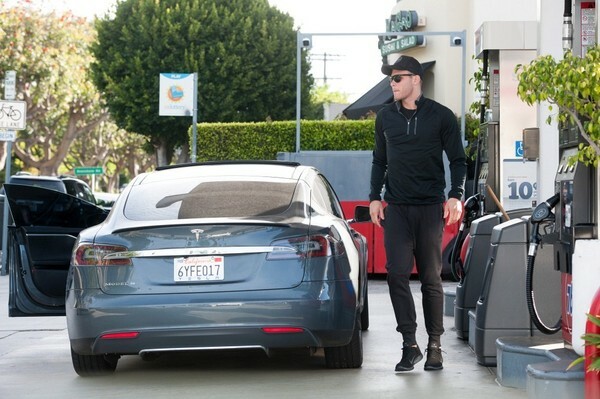 Blake Griffin was spotted with his Tesla Model S at a gas station in Los Angeles recently. We get the feeling that even though Griffin has appeared in multiple Kia commercials, he wont be driving around in one anytime soon. If Dennis Rodman’s Hummer didn’t quite do it for you, here’s another hideous celebrity ride. 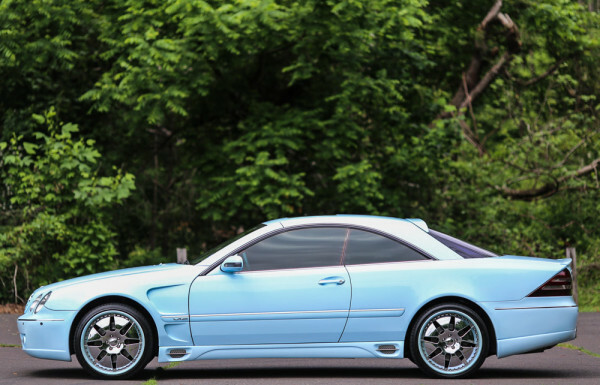 Former NBA superstar Tracy McGrady’s 2001 baby blue Mercedes-Benz CL600 is listed for sale on eBay with a buy it now price set at $38,950. That’s a steal considering he originally had it listed for a whopping $150,000. Yes, you read that right, $150,000. The eBay listing says McGrady spent more than $180,000 on the V12 coupe which just goes to show how bad of an investment it really was. 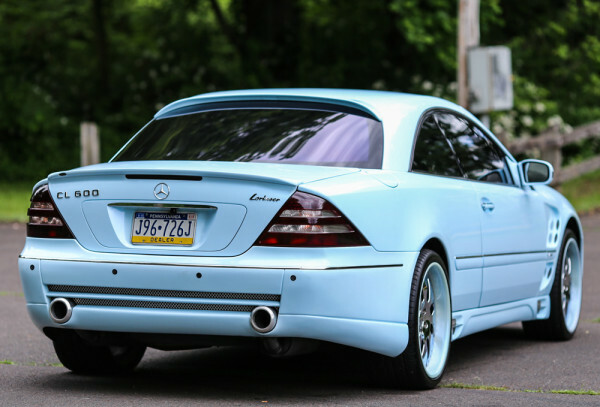 The West Coast Customs “upgrades” include a full body kit, 20-inch GFG chrome and matching light blue rims, a Pioneer system, T-Mac logos in the headrests, an added rear-view camera and Gucci upholstery. Gag.